Enthusiastic participation in extra curricular activities is strongly encouraged and is a feature of the weekly schedule of most of our senior students. It is essential that every Derby High student sees their education in much broader terms than simply getting good examination results. 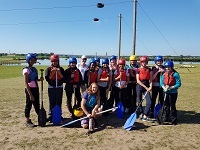 There is something for everyone, whether their interests lie in the high profile and ever popular Sport, Music and Drama activities or in developing other skills in areas such as the Duke of Edinburgh's Award Scheme, Debating, Craft, Science, Podcast and Photography Clubs. Through the extra-curricular programme our students not only learn new skills, but also uncover previously unsuspected talents. They gain confidence and learn to take responsibility for themselves and for others. 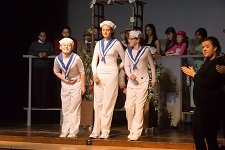 Through the medium of extra-curricular activity important leadership skills are developed. Students will often initiate and run their own activities and are encouraged to do so: recent examples are the Young Apprentice and Amnesty International Group.